As per my previous post, I was recently in Munich for a short day trip. Here I am looking a bit dishevellled walking to the Englisher Garten (please excuse the hat hair!). I'm sticking to my crazy cat lady persona here with a leopard print scarf and cat head skirt, both from H & M. Also, my burgundy H & M coat (see post here) is still going strong. I've worn it so much this winter and it was a great purchase. I don't usually buy much in H & M so funny that I'm wearing so many things from there together here. I did feel quite scruffy next to some of the very well put together and groomed women around me. I was very impressed at how well dressed the ladies of Munich were, I had a great time spotting things that I'd love to find for myself. One of my favourite things about being in new cities is to just people watch as the locals go about their daily business. You can pick up some great new style ideas. Unfortunately, I couldn't actually do any shopping as the day we were there was a holy day and all the shops were closed. All of them! It was torture for me walking down the main street and not being able to get into any of the shops. I'll have to make up for it with some online shopping now instead methinks. 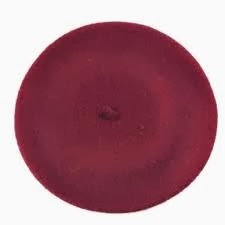 First of all I saw a girl walking into the Ubahn wearing a Burgundy pea coat very similar to mine. However, she had a beret on in the same exact shade of burgundy and a checked scarf that was burgundy and a light pink colour. It looked fab. I'd love to find something similar but to be honest, I'm not sure I have the panache to pull a beret off! From my searching there seems to be a lot of burgundy berets out there online like this one on Amazon for £3.49. My concern with buying online is that it's hard to tell how cheap the beret looks and if the shade matches my coat. These days, I don't have time to traipse around shops anymore. I'm thinking I'll just buy a cheapy one to see if I like the look, checking the reviews to see what people say about the colour. 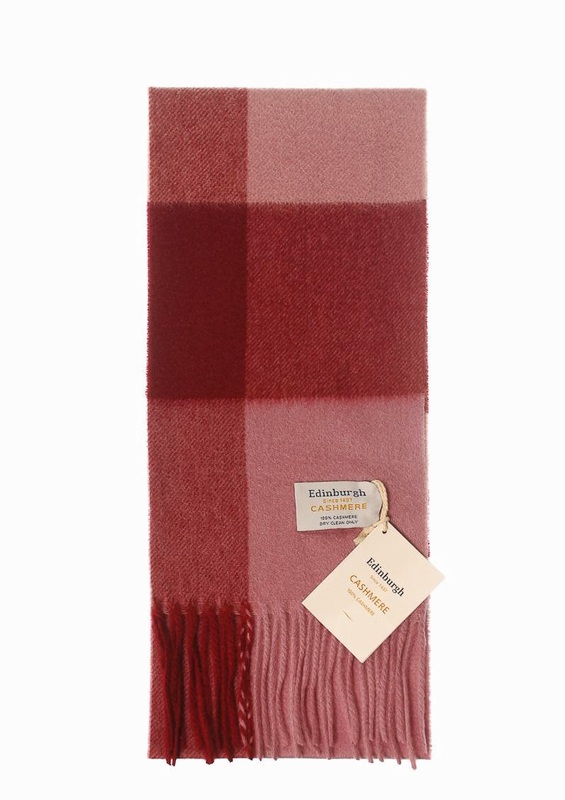 As for the scarf, this is exactly what I'm looking for. I found this, oddly enough on the Heritage of Scotland website. Now Google is gearing my banner ads etc to Scottish products. They're trying to convince me to buy a pair of child's bagpipes. I'll pass, thanks! Another lady had a beautiful pink saddle bag. 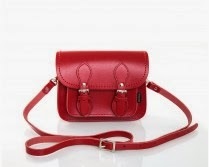 I've found this one here from Zatchels (which is now on sale for £35 which is the same size and shape as the one I saw. I'm really not sure about the neon pink though. The one I saw was a beautiful berry pinky colour. 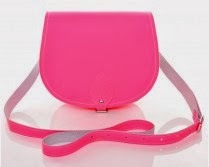 I really think the neon would date and as this is a real leather bag I'd prefer to get a colour that would be a bit more long-lasting. They have a pastel pink offering too but not the pink I'm looking for. I did take a look at the rest of the Zatchels site though and now I want ALL THE BAGS!!!! 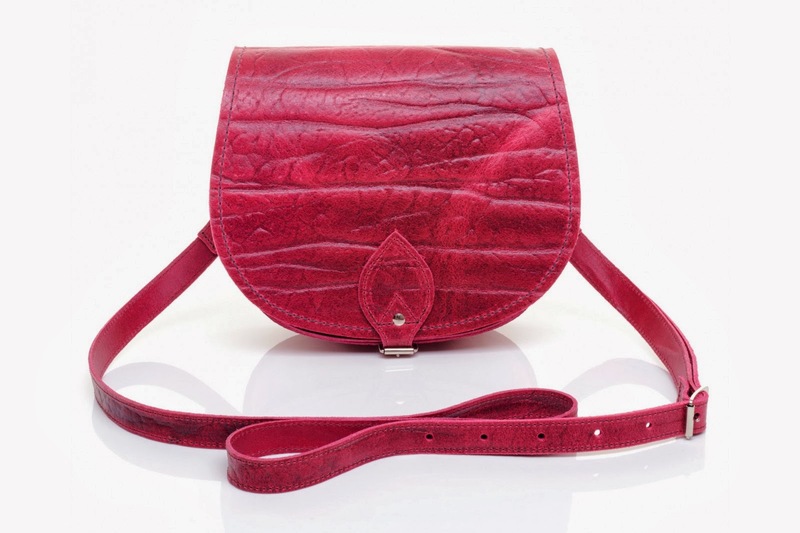 They have this elephant print raspberry one which is similar but still not quite the right shade of pink (it's unlike me to be so fussy but I was very taken with the bag I saw!) I am tempted though because it is half price, £30 reduced from £60. I am a terrible sucker for a bargain.